FREE Cyber Security Event - 3rd Episode! 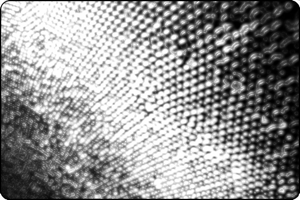 Special guest announced for the next MU.SCL event! Dr Kaleem Usmani from CERT MU will be presenting on Incident Handling. You can register now HERE ! This FREE to attend meeting will take place on the Thursday 26th of April 2018, from 6pm to 8pm, at the Flying Dodo Brewing Company in Bagatelle, Mauritius. We are working on a streaming option for those of you who cannot physically attend. The first talk will present how information shared on social media platforms can easily be obtained and used against you. We will also take a look at recent world events and how this data can be aggregated and why this is dangerous. This FREE to attend meeting will take place at the Flying Dodo Brewing Company in Bagatelle. The first talk will provide a high level overview of important Cyber Security regulations, standards and best practices relevant to most industries nowadays. At the end of the presentation, attendees should be able to take away key information and follow-up with any questions/worries/debate they may have on the subject. 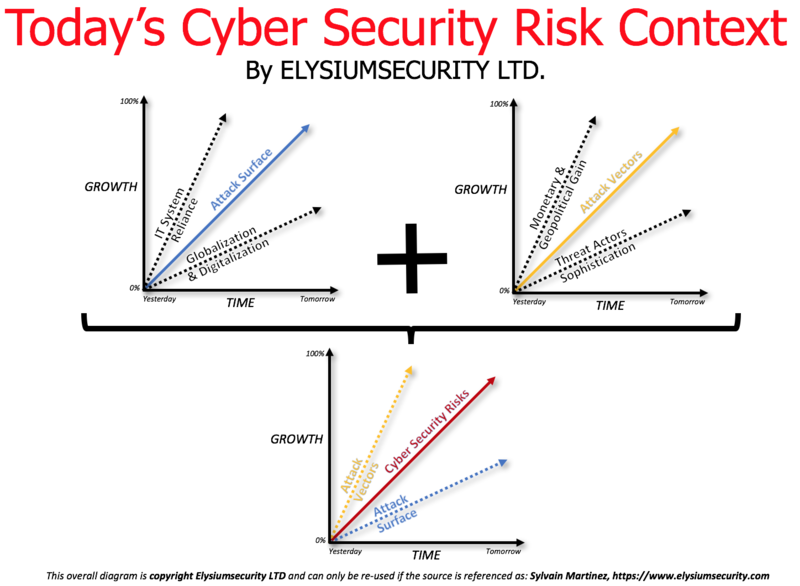 In an attempt to make a wordy presentation slide into something more palatable, I created this infographic to illustrate the main contributing factors of the growing attack surface and attack vectors faced by many organisations today. 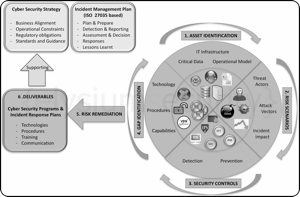 This contributes to an overall growth of their Cyber Security Risks posture. 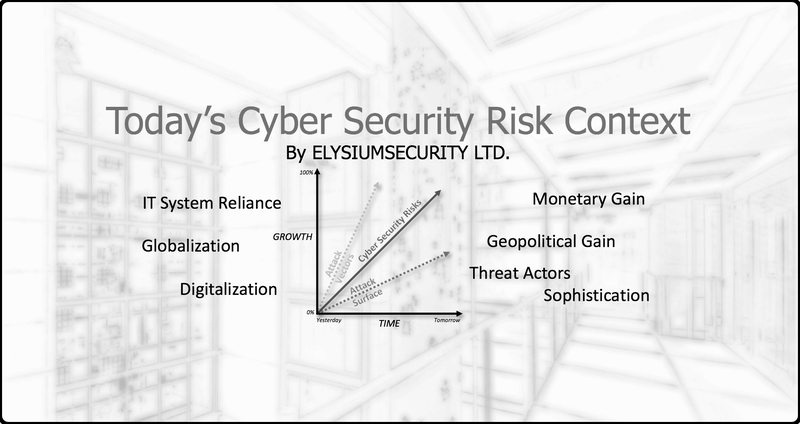 ElysiumSecurity Ltd can help your organisation with assessing its attack surface and attack vectors to better understand its overall Cyber Security Risk posture and the remediation steps that should be prioritised. With fines for non-compliance of up to 4% of a company’s annual global turnover or €20 Million (whichever is greater), and applicable regardless of the company’s location (i.e. : Mauritius). GDPR is a regulation that can no longer be ignored from any companies processing personal data of EU Residents (i.e. : travel agencies, hospitality, banking, health care, insurance, etc.). 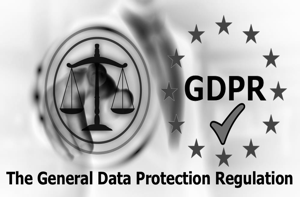 This article provides key facts as well as some resources to get started on the road to GDPR compliance.